Corporate fitness and health assessments promote a healthier, more energised workforce, which equates to significant bottom line savings. Corporate Fitness is a term that describes the set of physical activities or exercises that a company implements for their staff. It is the goal of such programs to increase the physical activity of employees as a way to promote a healthier and more energised workforce to boost performance and productivity. More often than not, the health and wellbeing of an employee is something that, when improved, could significantly enhance performance and increase productivity. This is one notable reason why companies are investing in corporate fitness programs. But why fitness programs? Employees who are physically fit, healthier and less stressed miss fewer days of work and create more quality output. An energised and motivated staff has a higher morale and this keeps them from leaving the company. Regular fitness activities help employees improve not only the physical attributes but also the mental and social capabilities of an employee. Group Fitness Classes – Fitness classes are a fun way of boosting the employees’ energy levels while improving their health and wellbeing. A fitness coach guides them on the different activities included, such as running, boxing, circuit training, weight training and cardio workouts. 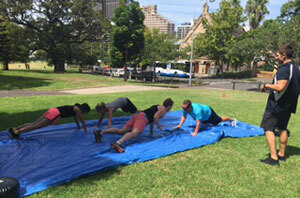 Corporate Fitness Challenge – This 12-week challenge involves different physical activities and interactive games that are performed and completed in groups. The challenges help increase employees engagement and promote teamwork. It also boosts staff morale and resilience. A Fit Team is a Happy Team. Call Us for a Detailed Discussion, Free! Fitness is an important element for each employee to progress career-wise. Absolutely Corporate can help make employees fit enough to be more active and focused on their work. We have fitness experts who can help create better and healthier teams with lesser workers compensation costs. What are you waiting for? Call us today for a free consultation. Increased productivity, fewer sick days, reduced staff turnover and decreased workers compensation costs are just a few of the reasons why leading Australian companies have implemented corporate fitness programs. 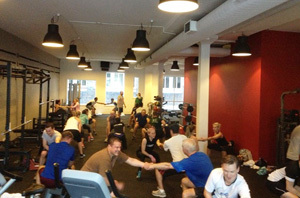 Absolutely Corporate conducts at-work health assessments, as well as group fitness classes and fitness challenges. Our experienced and qualified exercise physiologists are committed to educating employees about their health and empowering them to set goals for lasting change. 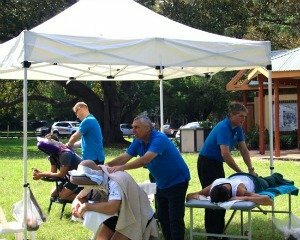 Absolutely Corporate is a nationwide provider of on-site health assessments and group fitness programs, helping corporate Australia become fitter and healthier to meet the challenges of working life. Our health assessments provide a snapshot of your employees’ health, helping to identify potential issues before they become major problems. Our assessments are carried out in 15-20 minute intervals and can include any/all of the following: blood glucose, cholesterol, blood pressure, body composition and waist measurement. Offering group fitness sessions to your employees will make a lasting difference to their energy levels, fitness and wellbeing. Classes are conducted in 6 or 12 week blocks, 1-2 times per week on-site or in the nearest park. They run for 50 minutes, can be held before work, during lunch time or in the evening and can accommodate up to 30 participants. Choose from boxing classes, circuit training, weight training and cardiovascular training. Our 12-week corporate fitness challenge is focussed on increasing employee engagement and morale, team building and resilience. 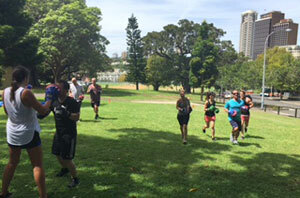 The challenge can be run on site or at a nearby park and it consists of 1-2 week interactive games-based group sessions.